On selected special events, The Smokehouse smokes up some of the best pork, brisket, chicken, corn beef or turkey you might have tried. The menu changes up, but there are always three different meats to chose from, then smother it, if you choose, with a selection of house made BBQ Sauces‍‍. From spicy to sweet we got you covered. Wash it all down with an ice cold bottle of CocaCola in glass bottles just like it should be. 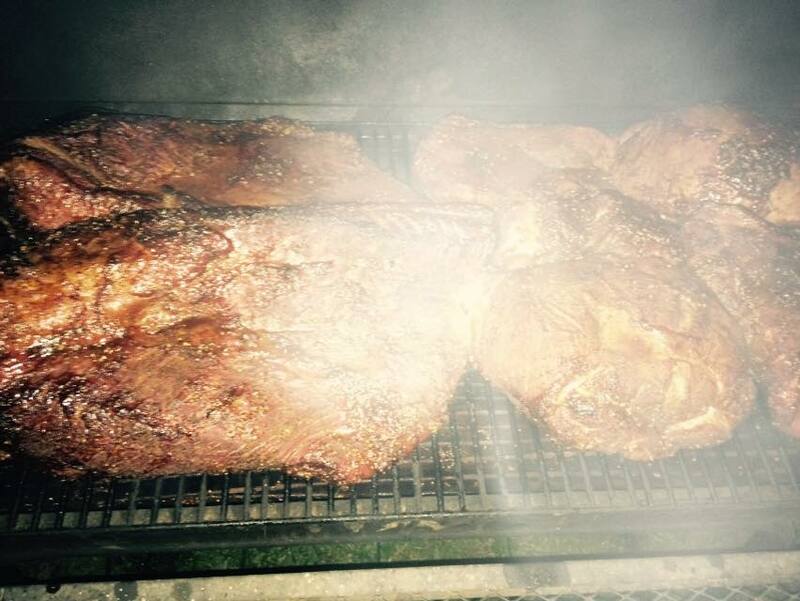 Hurry, meat is smoked fresh and offered while it lasts! History served up in a dish or cone! You’ll want to eat dessert first! 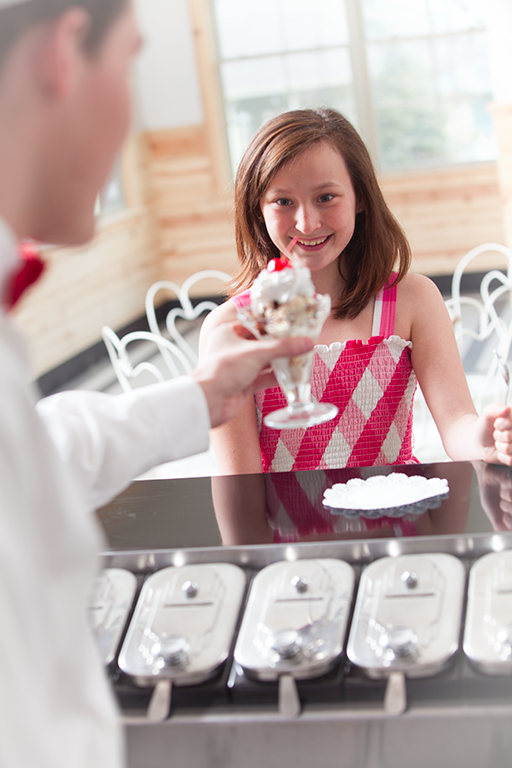 Sit down with your family at the soda fountain and enjoy rich hand scooped ice cream treats and sodas made from traditional recipes. Talk with the soda jerk and watch the creation of your favorite creamy concoction made with traditional fresh ingerdenace. 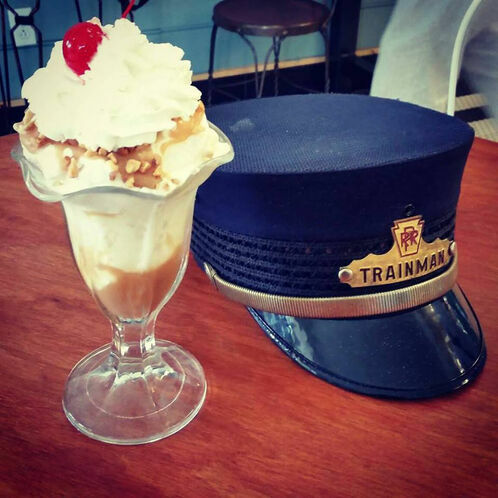 Sodas, sundaes, cones, splits, and egg creams are offered in this historic setting with whipped cream and toppings like our indulgent hot fudge - all made in house. Lunch is always great at Doc’s. Always keeping our food fresh and made to order, we offer hand cut fries, burgers, dogs, hand dipped corn dogs, as well as healthy salad options, too. 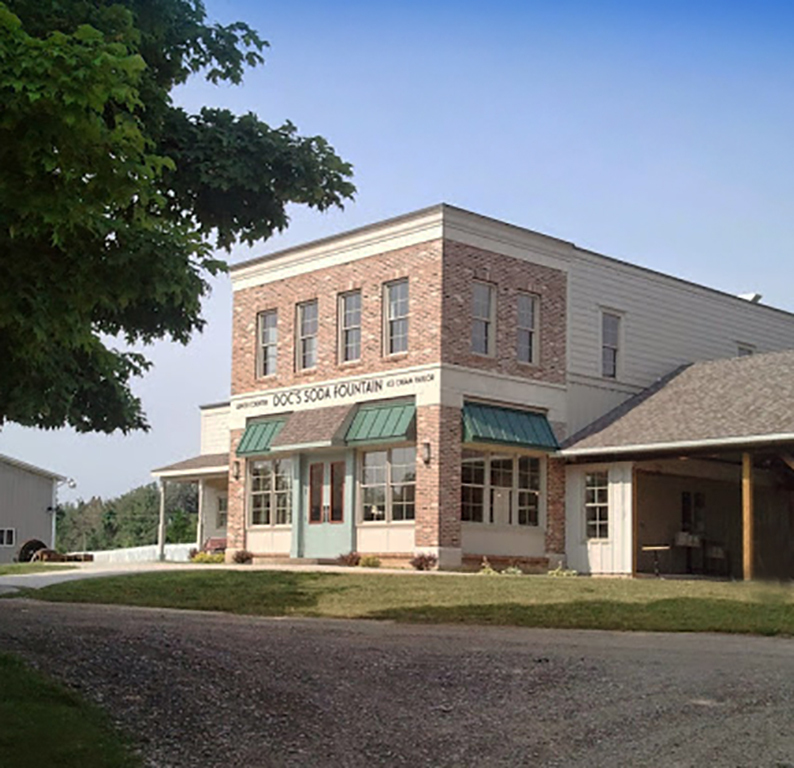 Doc’s is open for lunch and ice cream on all of the museum’s operating days. Breakfast at Docs is a great way to start your day at the museum. Stop in early and enjoy breakfast any weekend the museum is open – breakfast 9:00 - 11:00 CDT. If you’re early enough, you might dine with that day’s locomotive crews, as our engineers, firemen, and train crew meet at Doc’s after the fires are lit in the boilers. Bring the kids to say hello! Great things to keep little imaginations chugging along after your visit. 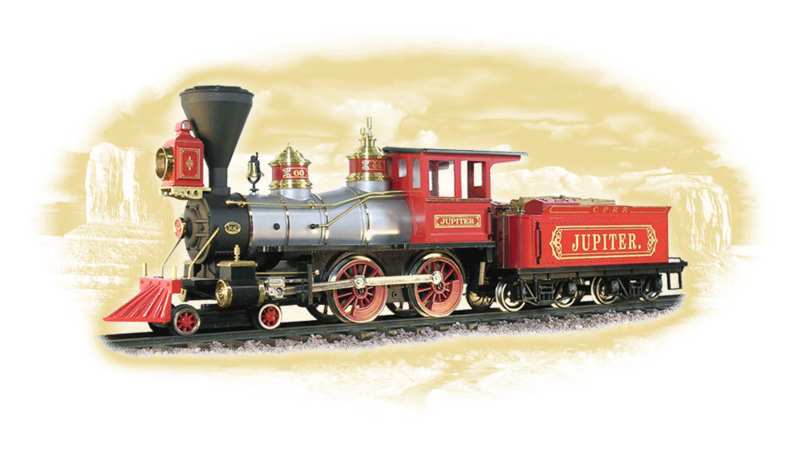 The museum’s gift shop offers a wonderful selection of toy trains, tee shirts, pins, and the Girl’s Corner, which are specially selected items for girls! We have extensively searched and sourced many items made in America and collected them here in the Depot Store. Look for our Made In USA tags and signs for these outstanding products that are sure to please. Food that is made to order, shopping that inspires imagination. Doc’s offers four packages to make your day more enjoyable and easier. Let Doc’s friendly staff do the work so you can enjoy your child’s party as a guest! Your child’s name with our birthday wishes will be displayed all day… hurry, dates are first come, first served. Have a group or want to have an event on a day the museum is normally closed? Download Rates Here. Expect a bit more than the normal museum food. Our menus are filled with great tasting and healthy choices that you just might want to come back for. Delicious ice creams, shakes, smoked meats and even more selections on special events like the Labor Day weekend Steam & Power show. in the museum’s gift shop — The Depot Store. many items made in America – see below!